Leonard Cohen is streaming his new studio album, 'Popular Problems', ahead of its official release on September 22. The LP, which comes out the day after his 80th birthday, is the singer's 13th studio album. It was co-written and produced by Patrick Leonard, who worked with Cohen on his last album, 2012's 'Old Ideas'. Cohen is not planning any live dates around the release. Visit NPR to listen to the album early. 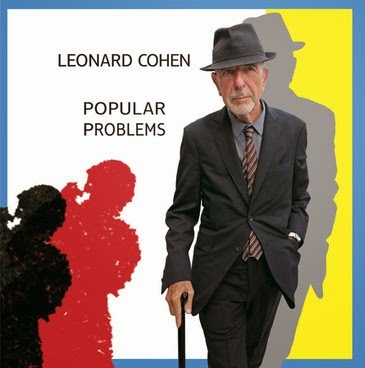 'Popular Problems' is Cohen's second album since his return to the stage in 2008 after a 15-year absence. It features nine tracks, although not new song 'I've Got A Secret', which he debuted at a Dublin gig in 2013. That track uses some lyrics from another unreleased song, 'Feels So Good', which was debuted on Cohen's 2009 tour and has appeared on numerous set lists since, but has not been released as an official recording.